Marriage is a Sacrament in the Catholic religion. In the Roman Catholic faith, a wedding is about much more than marrying two people; it is a celebration of their love for God and each other. The engagement period is not only for nailing down the details of a beautiful wedding, but also for preparing to make a life-long commitment. There are many things which are special about a Catholic wedding, but the details can seem a little overwhelming in the beginning. Let his handy guide answer your questions about planning a Catholic wedding. Long engagements are typical among Catholics. In fact, barring special circumstances, most parishes require at least a six month waiting period from the beginning of the engagement to the wedding date, and in some parishes it may be as long as a year. There is a very good reason for this. In the Catholic Church, marriage is a life-long commitment and divorce is not an option, at least not in the eyes of the Church. For that reason, it is very important not to rush into a marriage, but rather to enter it after taking time for prayer, preparation, and pre-marital counseling. Church decorated for a wedding. The first step when a Catholic couple becomes engaged is to contact the parish office at their church. Some churches will require that you be a member of the parish to be married there, while others may not. Early on, the engaged couple will meet with their priest to discuss possible wedding dates (some days, such as Good Friday and Holy Saturday are never used for weddings). Most churches will have specific times of day at which they can perform marriages without conflicting with the regular Mass schedule. You will also receive the “Rite of Marriage” handbook, which is the guide to a liturgical ceremony. Other things which may be discussed with your pastor at this time are music, whether you will have a full Nuptial Mass or not, and who will serve as your bridal party. Also speak to your priest about the marriage license that is required to make the union legal in the eyes of the state. There is also paperwork that must be attended to. The bride and groom will need to obtain their baptismal certificates from the parish where they were baptized (including non-Catholic Christian baptisms). There is a very specific reason for this: the parish in which a person was baptized will also record their marriage. So the baptismal certificate not only shows that the individuals have been baptized, but also that they were never previously married, and are therefore eligible for a Catholic ceremony. If one or both of the parties has been married in the past, they must either present a death decree for their former spouse, or a Decree of Nullity, in the case of a marriage which was annulled. Some, but not all, parishes also require proof of Confirmation. Another necessary document is the Affidavit of Freedom to Marry, which is written testimony by one who knows the bride or groom well (such as a parent), confirming that he or she is free to marry. 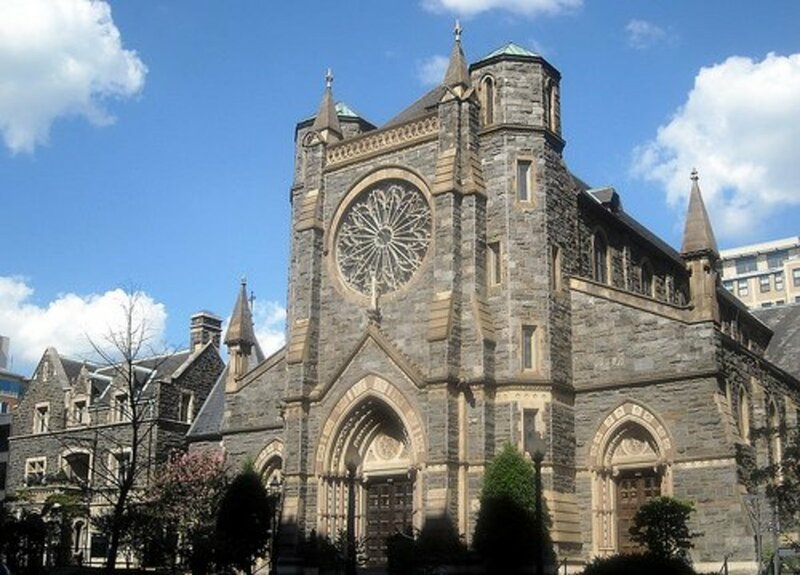 There may be a set fee for the wedding ($300 - $500 is typical, although it can run higher in large cathedrals), or it may be customary to make a donation. The fee or donation is intended to help cover the costs of the marriage preparation, expenses of using the church (maintenance, utilities, etc), and staff. If the bride and groom truly cannot afford to make a donation, they should be honest about it, as the Church will still marry them without a financial contribution. One final detail to discuss is the posting of Banns, which is the announcement of the couple's intention to be married. These days, they are usually either printed in the church bulletin or included in the announcements at Mass. Signing the marriage license makes the union official. Another very important part of a Catholic engagement is the pre-marital counseling. Every parish in the United States requires some form of it. Because the Catholic marriage is for a lifetime, it is deemed very important that men and women are sufficiently prepared before making the commitment. Most of the time, the point of marriage preparation is to strengthen the bond between the future spouses, and to reveal any potential points of serious conflict before the marriage, so they can be resolved. In very, very rare cases, a priest might caution the couple against marrying at that time, if he discovers a deep and serious incompatibility. The FOCCUS “test” or other pre-marital inventories are commonly administered to an engaged couple. 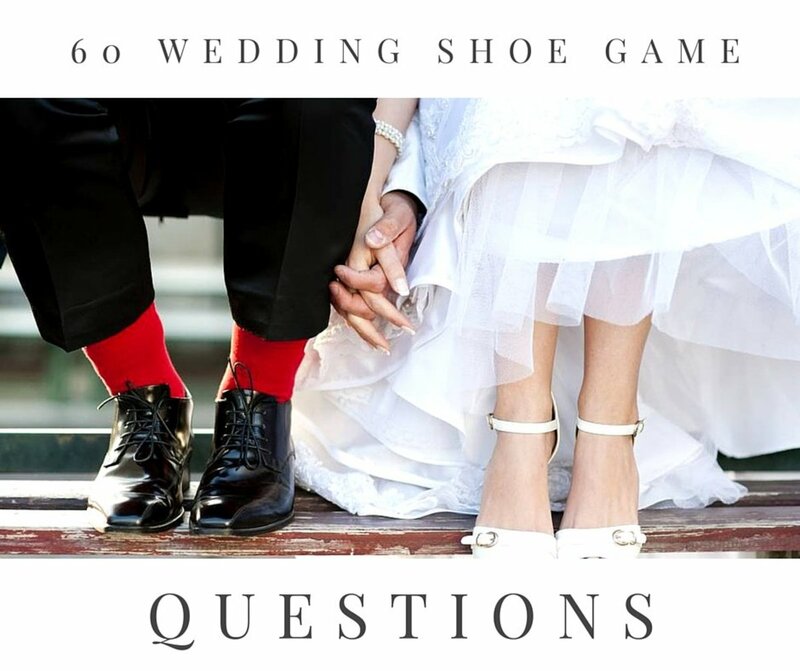 There are no right or wrong answers, but rather the couple individually answers questions about many topics relevant to married life to reveal their feelings on matters such as money, children, and the roles of spouses. A third party then tallies up the answers to assess how closely the future spouses are aligned on key issues. If major disagreements are revealed, this gives the bride and groom the opportunity to work through their issues before the marriage takes place. Pre-cana classes are another customary part of Catholic marriage preparation. They may take place as a series of classes or a weekend retreat, and they strive to prepare the young couple for building a life together. Practical issues are addressed, such as finances, household responsibilities, family, and more. In some parishes, there may be a separate required class about Natural Family Planning, or it may be part of the Pre-Cana class curriculum. Certificates showing the completion of the Pre-Cana course and all other required marriage prep are required before the couple can be married. In fact, in some parishes, the wedding date is not considered to be finalized until the pre-marital counseling has been completed. Many Catholic brides choose to wear the traditional bridal veil. 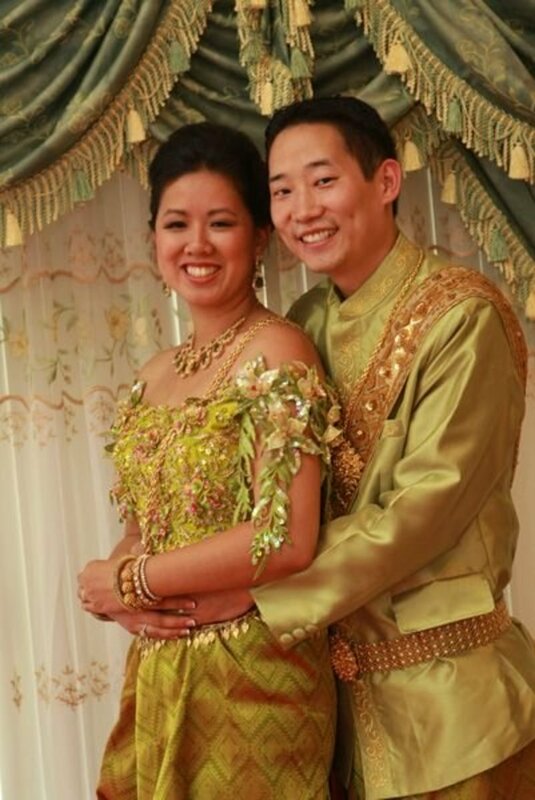 The Catholic Church has no specific requirements about attire for a wedding (although in some parishes, brides are requested to cover their shoulders). Unlike in Orthodox Judaism, the bride does not have to wear a veil. However, the traditional nature of a wedding in the Catholic Church does lend itself to traditional bridal attire, including a veil. In general, the bridal gown should be modest enough not to distract from the religious nature of the event. Baring the shoulders is no longer considered disrespectful, but a plunging neckline, minidress, or second-skin tight dress would all be inappropriate for the setting. Classic bridal jewelry like pearls will always be a nice choice. The Catholic bride should definitely err on the side of more conservative dress out of respect for her Church and her faith. If you have any specific concerns, by all means speak with your parish priest before buying a gown. When I got married, I asked my priest if they had any rules about the wedding gown because I was planning on wearing an off-the-shoulder gown, and his response was a laughing, “Why? What did you have in mind?”. In other words, let good taste be your guide and you will be fine. By the way, it is no longer required that all women have their heads covered to enter a Catholic church, so while female wedding guests are certainly welcome to wear hats, it is not mandatory. A white family Bible with flowers is an alternative to a bouquet for Catholic brides. Every bride wants flowers and decorations at her wedding! Be sure to speak with your parish office about what types of decorations are permissible. For instance, while you can decorate near the altar, no flowers are to be placed directly on the altar itself. There may be additional restrictions regarding use of tape or staples to hang decorations on the ends of pews for fear of damaging the wood. At my church, decorations had to be simple enough that they could be quickly removed by the florist before parishioners began arriving for the Saturday afternoon Mass. Floral displays in vases were fine, but more elaborate decorations, such as garlands wrapped around columns were not allowed. 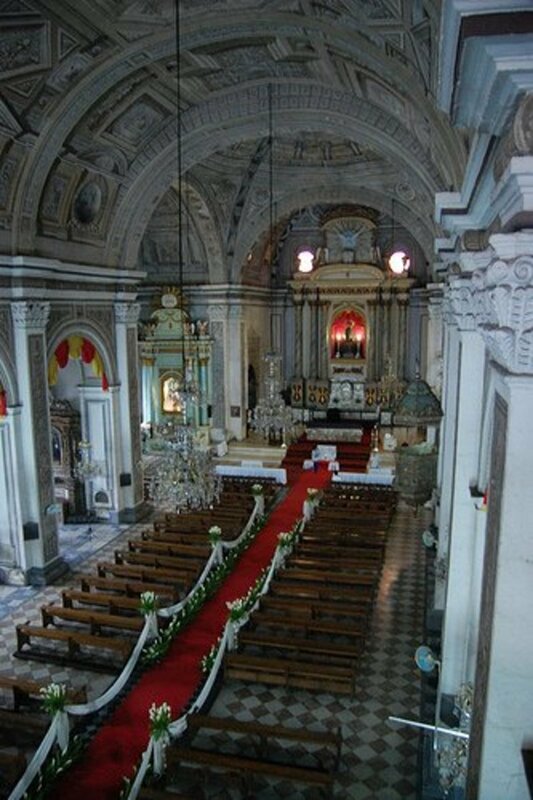 Most churches prefer that the space not be over decorated, as it can distract from the central focus of the Sacrament of Matrimony. Ask your church what seasonal decorations may be in place at the time of your wedding. If you are planning to get married right after Christmas, for instance, the church may be so beautifully decorated that you don't have to do anything at all. By the way, while many churches will allow candles for decorations, not all permit the secular Unity Candle addition to a Catholic marriage ceremony, so be sure to ask about this if you are considering it. It is customary for a Catholic bride to carry either a bouquet or a white Bible down the aisle. Devout brides may also wish to carry a rosary. The flowers in the bridal bouquet can be anything that strikes your fancy, of course, but some may wish to carry white lilies, in honor of the Virgin Mary. If you wish to carry a small white Bible instead of a bouquet, it can be decorated with a small spray of flowers, such as delicate lilies-of-the-valley. Using a family Bible will make this tradition even more meaningful. 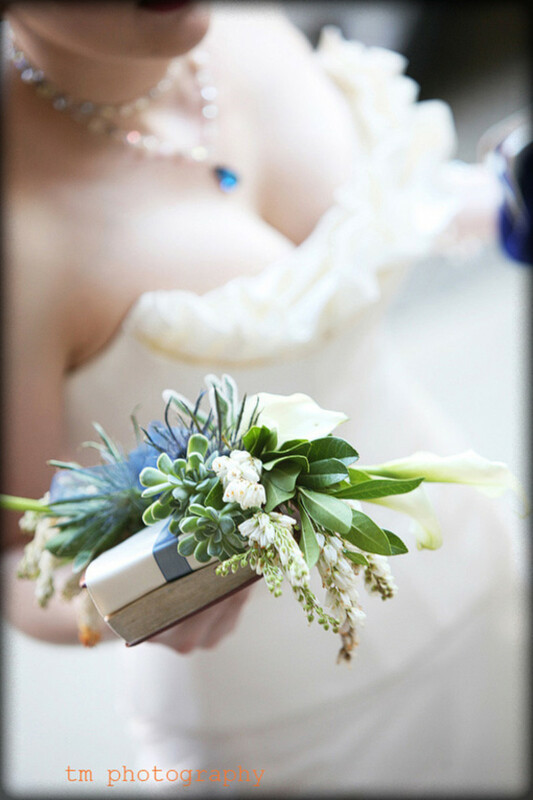 Brides who opt to carry a Bible down the aisle can always have the florist make up a small bouquet especially for tossing at the end of the reception (actually many brides who carry bouquets do this too so they can save their original bouquet as a wedding keepsake). 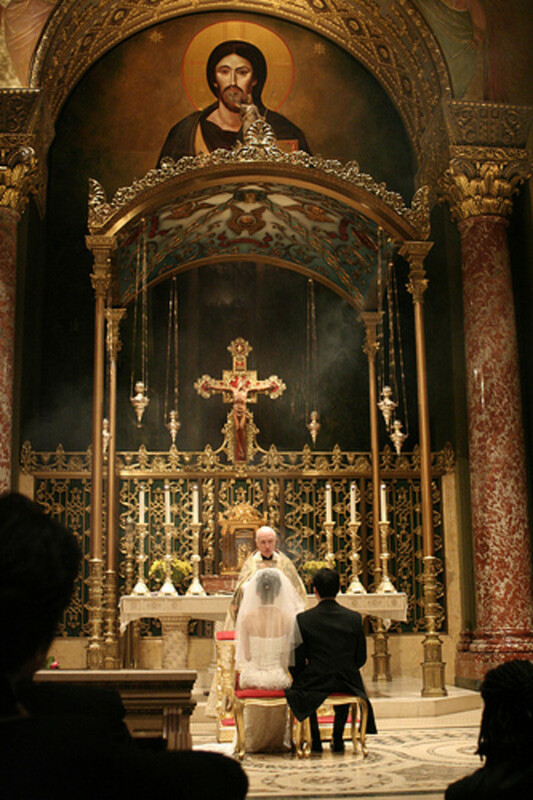 Catholic weddings take place in churches; outside venues are rarely permissible. Then there are the preparations for the marriage ceremony itself. When the bride and groom are both Catholic, they have the option of either a Nuptial Mass (which includes Communion) or a marriage Outside of Mass, which does not include Holy Communion. Rarely will a bride and groom have a Nuptial Mass with Communion when one of them is a non-Catholic. The reason for a Catholic couple to opt for the full Nuptial Mass is that it is an added blessing to their marriage. The reasons to choose a marriage without the Eucharist are usually either the length of the Nuptial Mass or other family considerations. Nuptial Masses usually run about twenty minutes longer, around one hour to ninety minutes total. In some cases, if many of the wedding guests will be non-Catholic, the bride and groom may decide it is best to omit the Communion portion of the ceremony. The traditional wording for a wedding invitation is slightly different for a Nuptial Mass than for another form of church wedding (including a Catholic wedding outside of Mass). Notice the use of the joining word “and” because the bride and groom are being united in Holy Matrimony. This is a sample invitation: Mr. and Mrs. Roger Talbot / Request the honour of your presence / At the Nuptial Mass of their daughter / Susan Anne / and / Mr. James Thomas / Saturday, June Fifth / Two Thousand and Ten / at one o'clock in the afternoon / St. Joseph Catholic Church / Hingham, Massachusetts. 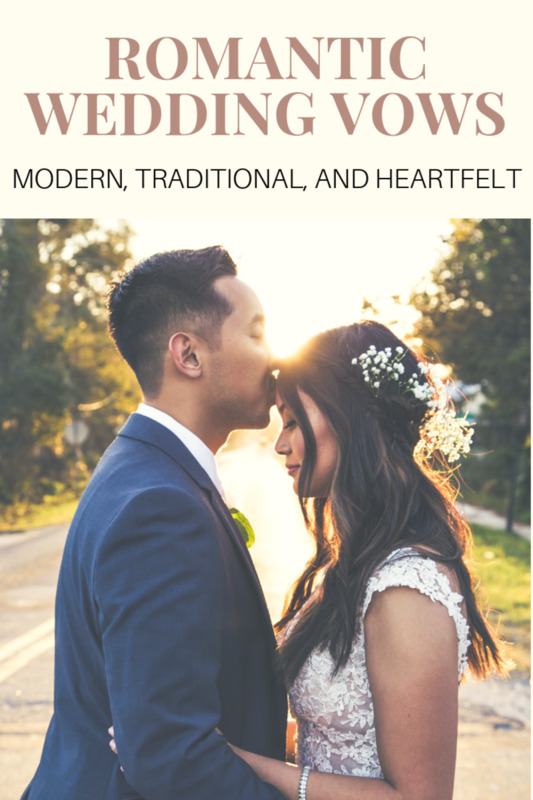 When many of the people in attendance will be unfamiliar with Catholic traditions, it can be helpful to have a wedding program to inform them about the proceedings. The priest conducting the ceremony can help too, by clearly indicating when the congregation should sit, stand, or kneel. Additionally, in some parishes, the priest may offer that any non-Catholic may approach the altar during Communion to receive a blessing, minus the actual Eucharist, which is a nice way to make everyone feel included. It should go without saying, but perhaps must be reiterated anyway, that a non-Catholic should never take the Sacrament of Communion. Any wedding guest of another faith should feel free to sit and stand with the congregation if they wish, but they may also remain seated if they prefer. Additionally, it is perfectly acceptable for a non-Catholic guest to remain silent, if they are not comfortable reciting the prayers, and of course, they would not be expected to make the Sign of the Cross. The Catholic wedding ceremony follows a very specific format. The processional is first. The groom and best man approach the altar from the side, where the priest is standing. Then the processional begins. The groomsmen and bridesmaids pair up on the way down the aisle. The first pair should be the bridesmaid and groomsmen who will stand at the furthest place out in the line at the altar, and the pairs work in from there. The rehearsal, which usually takes place the day before the wedding, is very helpful in working all of this out! The maid of honor walks up the aisle alone, and then it is time for the bride to make her grand entrance, usually on the arm of her father. Guests rise as the bride marches and then take their seats once the bride's father has “given” her to the groom and the bridal couple is standing at the altar with the priest. In some Catholic ceremonies, there will be kneelers for the entire wedding party at the front of the church. It is not uncommon these days for there to be chairs available for the bride and groom, as well as their attendants for part of the wedding. The ceremony begins with a hymn, which the priest will invite all the guests to join. It should be noted that all the music played in a Catholic wedding must be religious (sometimes certain classical selections may be permitted), not only during the ceremony, but before and after as well. Following the opening song, there will be a greeting or opening prayer. That is followed by a reading from the Old Testament. Verses from Genesis are particularly popular, but there are other traditional readings from which to choose. The “Rite of Marriage” handbook contains the selections from which the bride and groom may choose both their readings. A special friend or family member is often asked to do a reading during the ceremony. It is considered quite an honor, and it is a good way to include that favorite aunt or other person who you could not have as a bridesmaid or groomsmen. After the Old Testament reading comes the Psalm, which will be sung by either the church soloist or the entire congregation. Then it is time for the second reading, this time a New Testament verse. The priest will then read the gospel, which is a passage from the books of Matthew, Mark, Luke, or John. Following that is the homily, during which the priest will reflect on the readings, and help to make their message more clear. In the context of a marriage ceremony, the homily will naturally speak about what the gospel means regarding love and marriage. 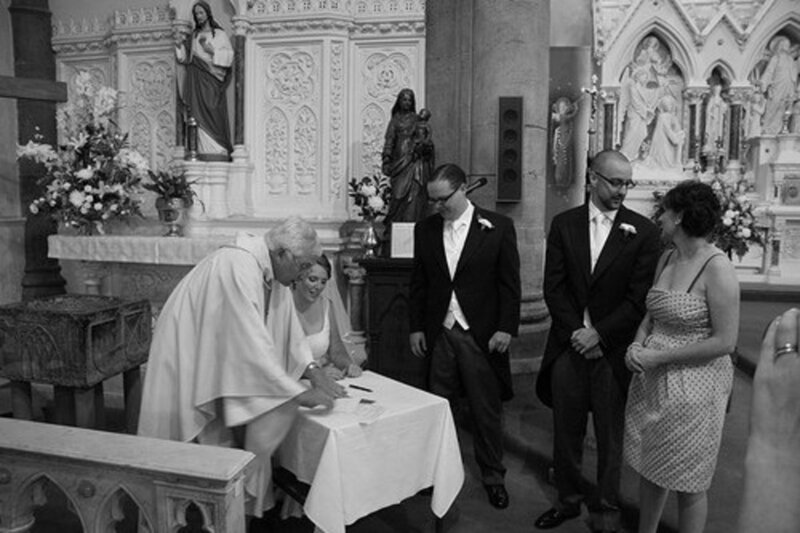 Following the homily is the part of the wedding ceremony where the bride and groom say their vows and exchange rings. 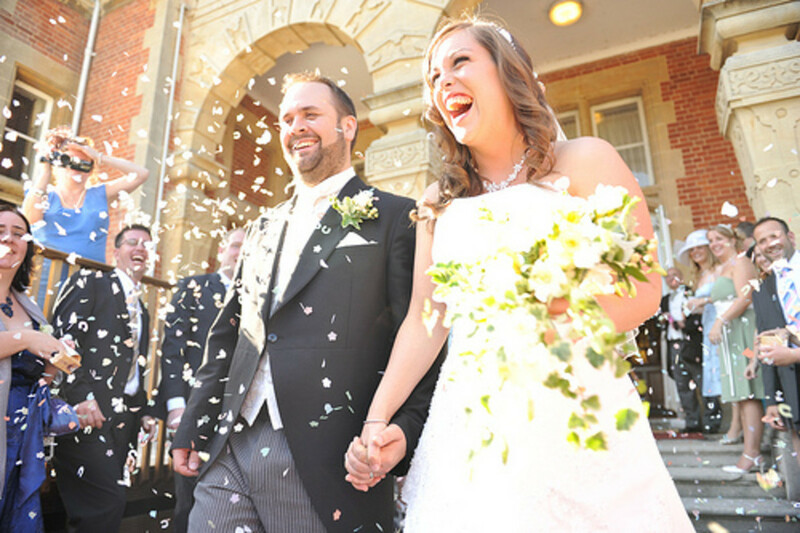 Rarely will a Catholic bride and groom be permitted to write their own vows, although sometimes they might be allowed to add a few personal words to the end of the traditional vows. If not, the wedding reception offers the opportunity to say a few words from the heart. It is advisable for the bride and groom to try to memorize the vows, although the priest will often read the lines so the couple can repeat after him while saying their “I dos”. 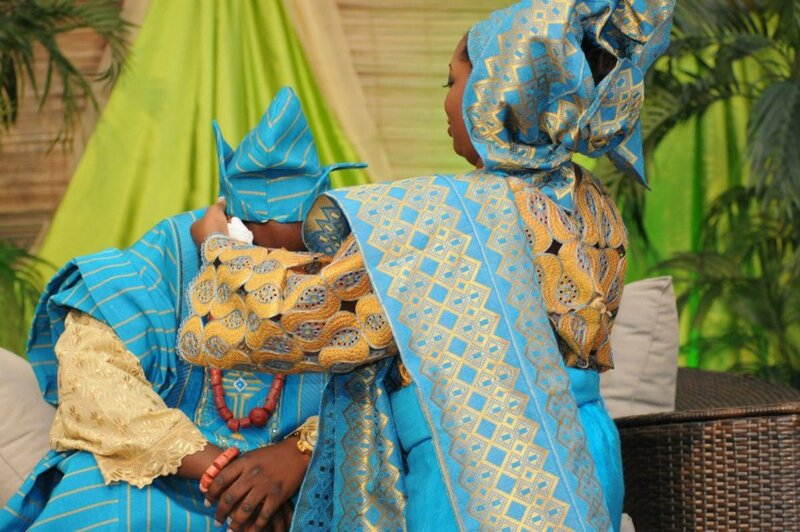 Once vows have been exchanged, the bride and groom give each other the rings and the priest blesses them. The wedding bands are powerful symbols of love and fidelity. Then it is time for the kiss! The Nuptial Blessing is next, during which the priest will bless the new marriage and say a prayer. This is followed by a very familiar part of Mass to any Catholic: the sign of peace. Each person is invited to turn to their neighbors and offer a handshake (or a hug for family) and the words, “Peace be with you”. In a Nuptial Mass, this is followed by Communion. As mentioned before, guests who are not Catholics should simply remain quietly seated during the Eucharist, unless the priest has extended an invitation for non-Catholics to approach the altar for a blessing. Following the Sacrament of Communion, the congregation joins in reciting the Lord's Prayer. Finally, the Nuptial Mass concludes with a blessing and the traditional dismissal: “This Mass has ended. You may now go in peace”. At the end of a regular Mass, this would be the cue for the congregation to exit the church, but of course during a wedding, guests should remain in the pews until after the recessional. The Catholic recessional takes place in the reverse order of the processional, led by the joyous newlyweds, then the bridesmaids and ushers in pairs. 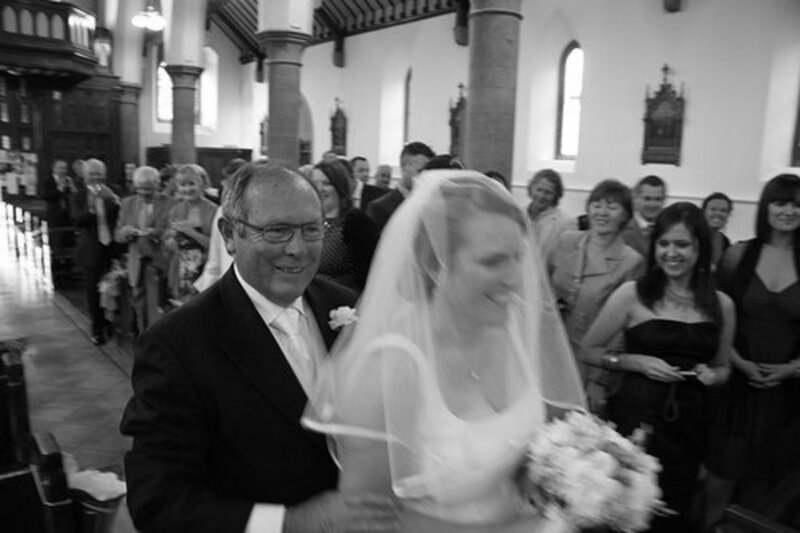 The recessional at any wedding is a very happy moment, and should be accompanied by more up-tempo music than the more stately processional. Once the wedding party has exited, the guests may leave as well. It should be noted that a receiving line is never to be held inside a church (as it is God's house, not yours), but it is acceptable to form a receiving line outside of the church. Alternatively, the receiving line could be held at the reception site as guests enter. Speaking of the reception, a Catholic wedding reception is much like any other, except that there may be a blessing offered before dinner. Then it is time to eat, drink, be merry, and celebrate the newly joined bride and groom! I totally agree with Anastasia's bile. From what I learned at my son's wedding at our Catholic church, the bride is no longer "given" by anyone, as if she were property. Who says that baring the shoulders is no longer considered immodest or disrespectful? You must be refering to our pagan lustfilled pornographic world, certainly not the teachings of our most Holy Mother Church. Please read the vatican guidelines that say "We recall that a dress cannot be called decent which is cut deeper than two fingers' breadth under the pit of the throat, which does not cover the arms at least to the elbows, (short sleeves were also permitted as temporary concession, with ecclesiastcal approval, because of impossible market conditions) and scarcely reaches a bit beyond the knees. Furthermore dresses of transparent material are improper..."-issued by Cardinal Vicar (Basilio Pompili) of Pope Pius XI in Rome, September 24, 1928. " To say that 'modesty is a matter of custom' is just as wrong to say that 'honesty is a matter of custom.' "- Pope Pius XII The photo you chose with the deep cleavage showing shows a desensitization in regards to modesty on your part. Please read Colleen Hammond's book on "Dressing with Dignity". She has many quotes and references to the magisterial teaching's on the Catholic Churches guidelines for modesty. Please don't succumb to the indecent modern world's views on modesty. For clarification, the cost of getting married in your own parish is usually small and it is to cover the costs of marriage preparation, not the use of the church during the actual ceremony. 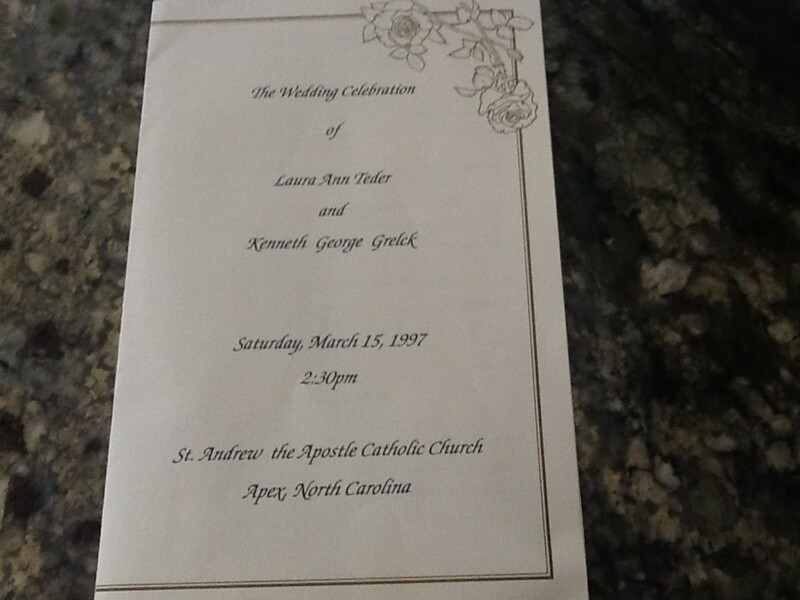 I did get married at a parish other than my own and had to pay to use it. Good informational article. The whole pupose of course is not the details but the marriage of two souls that's suppose to last as long as both of them lives. Children need parents of whatever faith and there were more commitments such as the ones the Catholic Church tries to make, there would be less confused children today. Very informative article. I wanted to make one clarification for your readers. Although it is appropriate to give a donation upon receiving sacraments such as baptism or marriage, it is NOT required. The catholic church does NOT charge for sacraments. In my experience, the fee you spoke of is charged to couples who are not members of that church. For example, my family belongs to All Saints parish, so i could be married there for free (a small donation is the norm, but not a must) If I had wanted to be married in another parish in which my or my fiance's family was not a member, they would have charged me a fee because we were not members of that church. Thomas Raines, I thank God that my wife and I got married in the Catholic church before they started charging 300 to 500 dollars. The church has sure changed ! Back then all sacraments were free and the Catholic schools taught that it was a sin to charge for them.